Knowing how to make good coffee especially at home is one of the best things that can ever happen to a person. Particularly during those lazy days when you don’t feel like leaving your bed, and you want to make yourself a hot cup of coffee, it can be quite helpful. Probably to drink it while watching the TV or reading the newspaper. Brewing your cup of coffee personally, therefore, allows you to prepare something special and to your satisfaction. However, making a good cup of coffee doesn’t necessarily mean you have to dig deeper into your pockets, or even having to purchase an espresso machine. It just requires a few useful tips to make it better and sweeter. The quality of the drink entirely depends on the type of beans you buy. If you buy high-quality ones, you will be able to make quality coffee and vice versa. Grocery beans may be a more preferred alternative due to their availability and fair price, but the key to making good coffee is by buying freshly roasted beans. However, you don’t have to worry about locating a good roaster. Just look for roasters in your local area, and you will find lots of them. Nonetheless, don’t go for just any roaster, find a credible one to be supplying you with high-quality and fresh beans. Also, make sure that the beans have not exceeded two weeks after being roasted for they might have gone stale. When it comes to grinding the beans, there are two major things you should adhere to; one, the type of the grinder you use, and two, when to grind it. Finely ground coffee gives you a tasty cup. Also, it allows you to extract all compounds during the brewing of the coffee. As such, you should know that burr grinders are a bit better than blade ones. 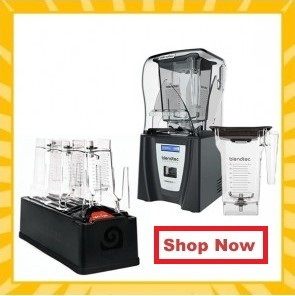 The only problem, however, is that burr grinders are a bit costly; it’s why most people often use electric or hand grinders for they are relatively affordable. Therefore, ensure to grind the coffee some few minutes before brewing. Otherwise, the gasses and flavors may escape leaving the coffee tasteless. How do you store your coffee? It could be the main reason why your coffee doesn’t taste that great. Coffee degrades when it’s exposed to air and sunlight. Therefore, acquire a vacuum sealed jar, preferably ceramic or glass and always keep your ground coffee in it to ensure it retains its freshness and scent. Also, ensure that it doesn’t allow escape or entrance of air then store it somewhere away from light, preferably not in a freezer. Exposing it to moisture can significantly affect its taste. Similarly, the fluctuating temperatures of your fridge are not suitable for its storage. How do you measure the coffee and water per cup? 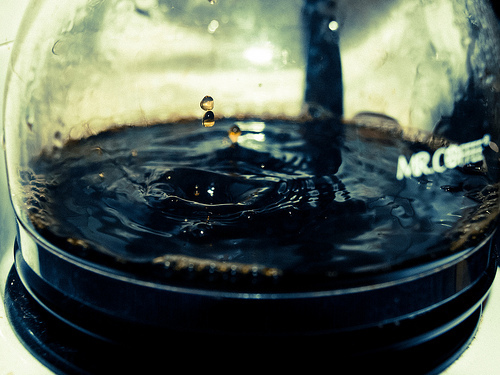 Some people put too much water and very little coffee, while others do the exact opposite. Doing this may lead to the production of a poorly balanced and bitter tasting coffee. You should, therefore, balance the amount of coffee with the amount of water. For instance, a standard-sized cup of water can use two tablespoons of coffee. Therefore, make sure the coffee is of the right amount. Nonetheless, this depends on the brewing method; a cold-brewed drink, for instance, will require more coffee than the standard. The French press, on the other hand, requires the standard size of coffee. The temperature is one of the critical factors in helping you brew some good coffee. Start by preheating your coffee making equipment with some hot water; it helps create a stable brewing temperature. You should also preheat your cup or mug. You will be amazed at what preheating can do for your coffee. Also, make sure that you pour some hot water over your filter to remove any residue that may have been left behind when you last brewed. However, the ideal temperature for making an excellent coffee drink should range between 180 and 200 degrees, or else, it should preferably be about 30 seconds off the boil. Coffee is only as good as the ingredients and the procedure used to prepare it. The above helpful tips, however, should go a long way in ensuring you make a perfect cup of coffee. Start by buying high-quality beans, finely grind them, store them well, measure the right amount of coffee and use the appropriate heat; this can guarantee you an exceptionally tasty cup of coffee. How Long Is Brewed Coffee Good For?